Being in the open waters with nothing to distract you or keep you entertained can be boring at times. With nothing but water all around you, it is important to keep your spirits high and connected to the outside world. Unfortunately, most electronics don’t get along too well with water. But, the Kenwood Outdoor Marine Stereo has been designed to withstand daily use in the open water. This water proof marine radio is well crafted to ensure that every part of the system is water and moisture resistant. Alongside this marine radio are the Pyle Hydra speakers and the Pyle Elite Series amplifier. Both are also waterproof. This combination will give you a functional outdoor music experience making your next outing on the water a blast. A great system should be able to transmit and receive signals at all times. The 2018 Kenwood KMR-322BT is waterproof and provides high quality sound output for a reasonable price. This Bluetooth receiver works well with a phone or other such device. It has the ability to stream the audio wirelessly by connecting directly to one’s android or Apple smart phone. The Kenwood’s Drive EQ digital conversion technology is combined with a polypropylene cone with cloth surrounding the aluminum voice coil. This provides on-board signal processing and filters for noise elimination. With its Bluetooth, USB and auxiliary, functions the Kenwood marine radio audio port connects to, and allows easy plug-in connections for any android smart phone and a variety of external devices. This diversity has been greatly lauded by many of its previous and current customers. The Bluetooth, USB and auxiliary connections allow one to browse through their music collection with ease from any device. It is also possible for one to stream music from the internet, satellite radio or the phone’s internal storage. The music playback option also allows one to use the play, pause, stop and search function. Another feature of the Kenwood marine radio is its ability to charge using a USB connector. The Android rapid charge is a convenient way to charge the phone while it is plugged in to the marine radio as well. The Kenwood marine radio also has a remote app feature that can be connected to the phone to control the radio’s play list. With the remote app, it is possible to control the sound features from a remote location. This amazing feature lets the user listen to their music as well as make and receive calls using their phone via the Bluetooth connectivity feature on the radio. The multifunctional ability powered by its Bluetooth connectivity allows one to even merge two phone calls together. With its two 6.6” speakers, the high-end outdoor speakers are not only great sounding but also look fantastic as well. The dual cone speakers are combined with full range stereo sound reproduction. This is a high-end audio speaker which can reach high volume levels without distortion. Its power handling is rated at 75RMS watts. They are not only waterproof, but also rust proof for longevity in the wet water environment. 2 component speakers –The two speakers increase sound output with no additional power. They can be adjusted as needed, depending on the desired sound. 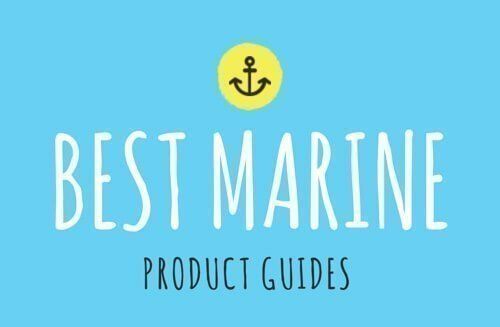 Marine grade waterproof construction- This water proof marine stereo is designed to keep water from sipping through to internal electronic components. Stereo sound reproduction- They are made to cover a broad range of frequencies and the sound output is crystal clear. Polypropylene cloth surround- This durable material protects the speakers from damage. Included also in the Kenwood Outdoor Marine Radio is the Pyle Elite Series amplifier. The 4-Channel amp system effortlessly transitions sound levels, from one bass level to another. It also has a remote turn-on and turn-off feature. This is what allows you to operate the stereo even when you’re not near the radio system. The dual high-level input connectors attached to the amplifier are designed to also power subwoofers. This opens the possibility of even more rocking days out on the water. Dual MOSFET Power Supply - This will provide uninterrupted power to the speakers ensuring your songs are not interrupted. Dual High Level Speaker Input Connectors/ Gold Plated speaker output - The high level connectors are convenient for quick connection of speaker cables for amplified audio signals. Another cool feature is the gold coated speaker output terminal connectors. They will not corrode or short circuit as they are well protected from water. Dual RCA (L/R) Input Connector Jacks - These color coded cables allow digital information to pass from the input source to the output destination without distortion for the best listening experience. Built-in Thermal overload & Speaker Short Protection - This feature protects the entire amplifier unit from short circuiting in the event of an overload. Heavy Duty Aluminum Alloy Heatsink - Aluminum is a good conductor of heat and will help reduce the tempature prolonging the amplifiers life. Great sound quality is what will most likely drive many to get a stereo system. Getting a marine stereo that has a USB port and auxiliary cables that can be connected to an android phone will let one enjoy maximum music functions. The Kenwood marine radio is a great stereo for the boat and any other outdoor entertainment function. It is easy to install and will fit in almost any boat compartment. This provides connections to a variety of media sources. Combined with several protective features like the flip cover for the receiver, it is clear why Kenwood is on of the best marine stereos on the market for boating.